Did you know the Tree City Fall Festival Committee is made up entirely of volunteers? Without these wonderful individuals, we would be unable to put on this event! 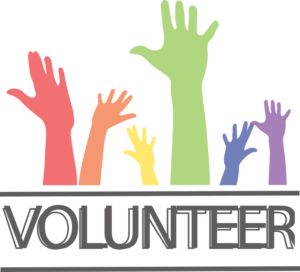 However, leading up to and during the Festival weekend, we are in need of MORE volunteers to keep the events running smoothly! Saturday, September 15th (Prior to the Miss and Junior Miss Tree City Pageant) Time 9:30am-12pm- Stage set up and decorating. Saturday, September 15th and Sunday, September 16th (Miss, Junior Miss, Little Miss and Mr. Tree City Pageant) 3pm- conclusion of event -Collecting entry fees, distributing programs and cleaning up the auditorium. Saturday, September 22nd (Tree City Chili Cook Off) 10:30am-2:30pm — Set up, collect tasting fees, serving chili samples and clean up. Friday 8am-3pm Set up tents for non profits, help with decorations ect. Friday 6pm-11pm Provide information, distribute/collect non profit passports, clean up, prize tent ect. Saturday 9:30am-11pm Provide information, clean up, distribute/collect non profit passports, prize tent ect.